Support preemies and neonatal research by running in the Humana Rock ‘n’ Roll Chicago Half Marathon, 10k, or 5k! For the third year, The Little Giraffe Foundation is an official charity partner for the Rock 'n' Roll Chicago Race Series. 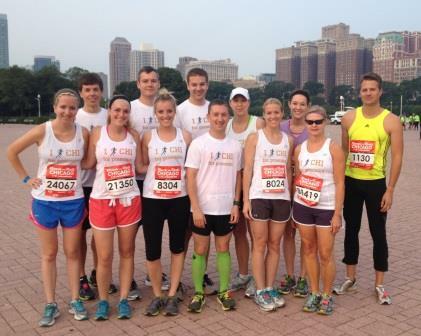 Each Little Giraffe Foundation runner is expected to fundraise through Active.com. Half Marathon runners are expected to raise $250 and 5k/10k runners are expected to raise $100. Details on this process will be shared once you are registered. If you raise at least $250 by June 30, 2016 you will also be eligible to receive a complimentary racing jersey!